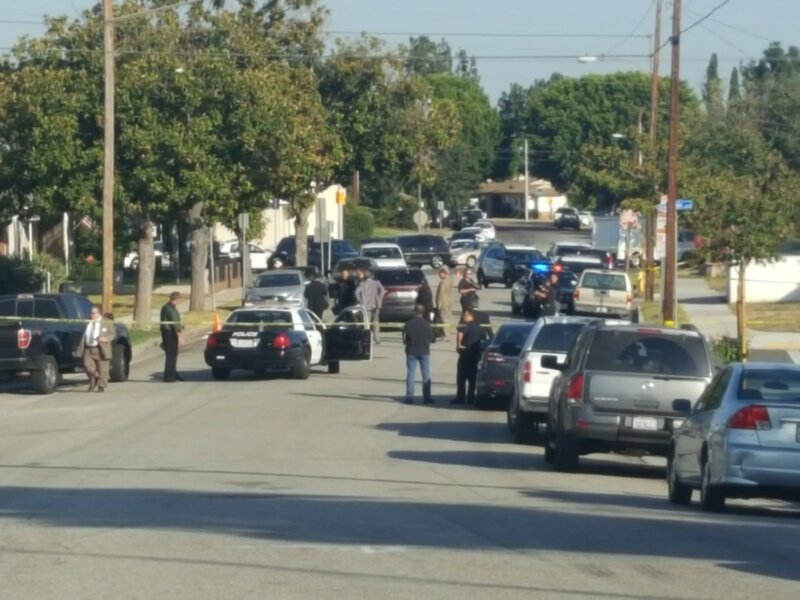 Authorities have identified a man who was found dead inside a car in West Covina following a shooting in Whittier on Friday morning. Austin Louis Jimenez, 28, of Rancho Cucamonga was pronounced dead shortly after 4 a.m. in a shopping center parking lot at Workman Avenue and Citrus Street, Los Angeles County Department of Medical Examiner-Coroner Lt. David Smith said. He was wounded in a 3:15 a.m. shooting at Penn Street and Newlin Avenue in Whittier before being driven to the parking lot by at least two companions, according to Whittier police Lt. Bryan Ellis. The driver and fellow passenger of the car, which had been struck by bullets, then drove to West Covina and called for help. Paramedics were unable to revive the Jimenez and pronounced him dead at the scene, officials said. No further information regarding the circumstances of the shooting, including a suspect description, have been released. A man was found dead inside a car in West Covina parking lot following an early-morning shooting in Whittier on Friday, authorities said. Police in Whittier first responded to reports of gunfire about 3:15 a.m. in the area of Penn Street and Newlin Avenue, Whittier police officials said in a written statement. But officers found no physical evidence of a shooting. That changed shortly after 4 a.m., when officials in West Covina received reports of a shooting victim found inside a vehicle in the parking lot of a shopping center at the southwest corner of Workman Avenue and Citrus Street, Whittier and West Covina police officials said. “Upon arrival, officers discovered a deceased male adult, West Covina police said in a written statement. The mortally wounded man was a passenger in the bullet-pierced car, which also contained at least two other young men, officials said. 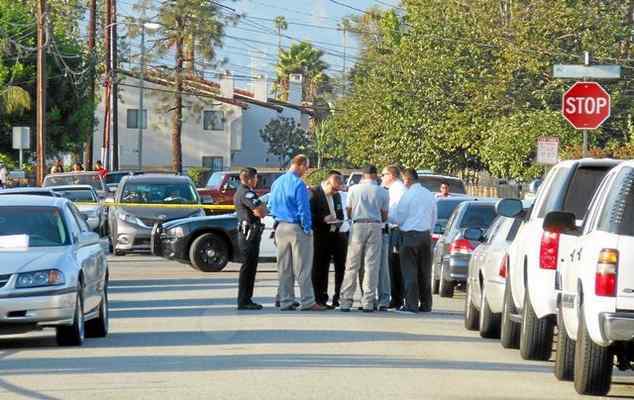 Further investigation revealed the victim in West Covina had been wounded in the Whittier shooting, officials said. His identity was not available Friday pending notification of his family, Los Angeles County Department of Medical Examiner-Coroner Assistant Chief of Operation said. He was estimated to be in his 20s. 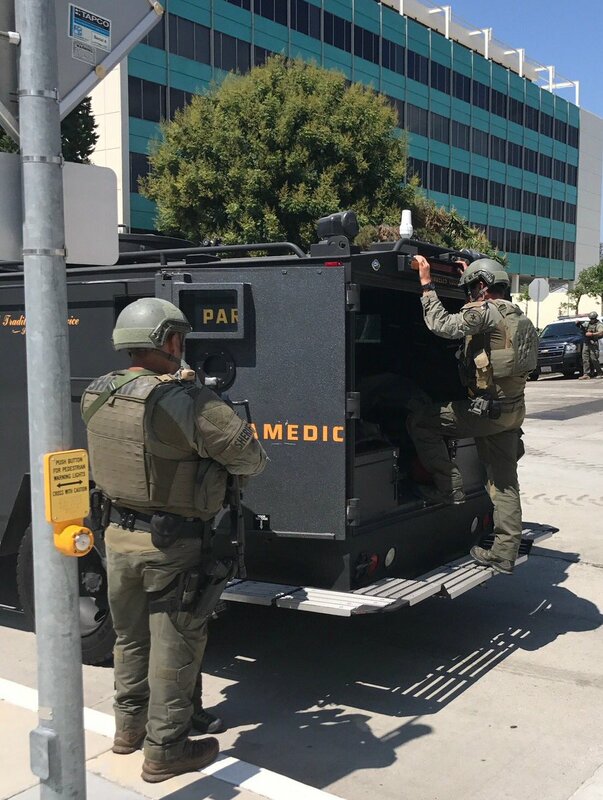 Police summoned a Los Angeles County Sheriff’s Department Special Enforcement Bureau SWAT team after receiving information that the shooter may have gone into a nearby barbershop at Penn Street and Comstock Avenue, according to Whittier police Lt. Bryan Ellis. The SWAT team searched the building but did not find the culprit, he said. No further details, including a motive or description of the shooter, were available as the investigation continued Friday afternoon. Anyone with information can reach Whittier police at 562-567-9200. Tips may also be submitted anonymously to L.A. Regional Crime Stoppers at 800-222-8477. A father and son are awaiting sentencing after they were each convicted last week of charges stemming from the fatal shooting of a woman during a burglary at her Baldwin Park home in 2014, authorities said. A Pomona Superior Court jury found Juan Carlos Santana, 45, of Baldwin Park guilty on Sept. 1 of murder, burglary and receiving stolen property, according to Los Angeles County Superior Court records and Los Angeles County District Attorney’s Office spokeswoman Sarah Ardalani said. The jury also found true the special allegation that he personally fired a gun during in the Oct. 18, 2014, slaying of 63-year-old Patricia Sigala-Salva at her home in the 3700 block of Idaho Street. Also convicted in connection with the case was Santana’s son, Andres Santana, 22, Ardalani said in an email. He pleaded “no contest” on Aug. 31, amid his trial, to a single count of voluntary manslaughter, along with the special allegation that a gun was used in the crime. Juan Santana faces up to 40 years to life in state prison when he returns to court for sentencing on Oct. 25. His son is expected to be sentenced to 12 years in prison at his sentencing, scheduled on Sept. 19. Juan Santana’s girlfriend, 47-year-old Deborah Curiel, has been convicted of receiving stolen property and acting as an accessory after the fact in connection with the case, Ardalani said. She’s scheduled to be sentenced on Sept. 14. Curiel was renting out a room in her home to Curiel at the time of the killing, Ardalani said. Her boyfriend, Juan Santana, was temporarily staying with her, along with his son. (“Sigala-Salva) kicked all three of them out when she noticed money and jewelry missing from her home,” Ardalani said. As a result of the dispute, Juan Santana shot her to death, officials said. “It was argued during the trial that while Andres was an aider and abettor to the killing, it was actually Juan Santana who pulled the trigger,” Ardalani said. The victim’s body was first discovered shortly before 2 p.m. on Oct. 18 after neighbors reported suspicious circumstances” at her home, Lt. Eddie Hernandez of the Los Angeles County Sheriff’s Department’s Homicide Bureau said at the time. Neighbors said they had not seen Sigala-Salva in several days, and that a man had been seen running from the garage of the home carrying beer. An autopsy determined Sigala-Salva died from “multiple gunshot wounds,” and the death was ruled a homicide. Investigators arrested all three defendants the following day, records show. Detective have arrested a suspect in connection with the slaying of a 20-year-old La Puente man found who was found shot to death inside a vacant home in Duarte in April following what investigators described as a drug deal gone wrong. Ricardo Anthony Resendez faces a murder charge for the April 1 shooting of Christian Sanchez in the 2600 block of Calle Martos, according to a criminal complaint filed against him. He was arrested by deputies from the sheriff’s Temple City Station just before 4 p.m. on Tuesday, Los Angeles County booking records show. 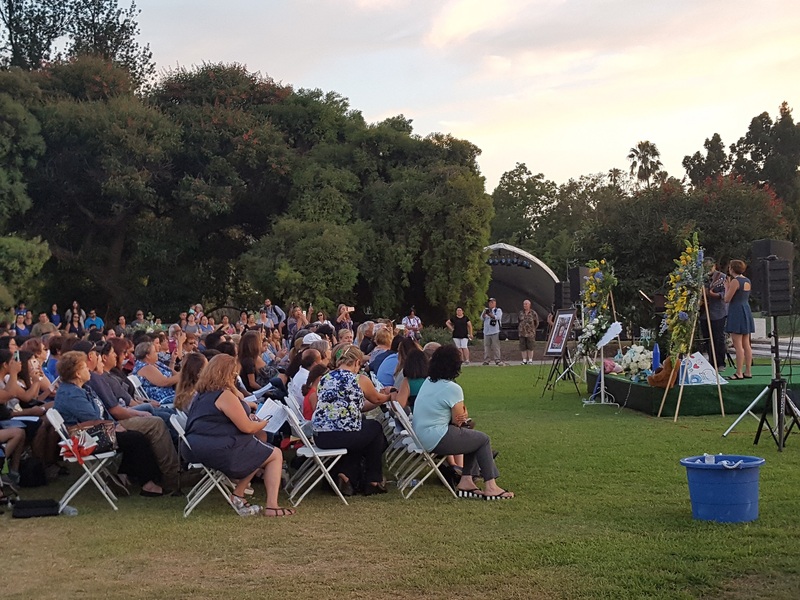 After identifying Resendez as a suspect in the slaying, he was arrested at his home in an unincorporated county area near Duarte without a struggle, Lt. Joe Mendoza of the sheriff’s Homicide Bureau said. “The motive was a drug deal gone bad,” Mendoza said. No further details regarding the circumstances of the slaying have been released. In addition to the murder charge, prosecutors also allege the special circumstance of murder during the commission of a robbery, as well as the special allegation that he personally discharged a firearm resulting in great bodily injury and death, according to Los Angeles County District Attorney’s Office spokeswoman Sarah Ardalani. The special circumstance makes Resendez potentially eligible for the death penalty. Prosecutors will decide later whether to seek capital punishment in the case. 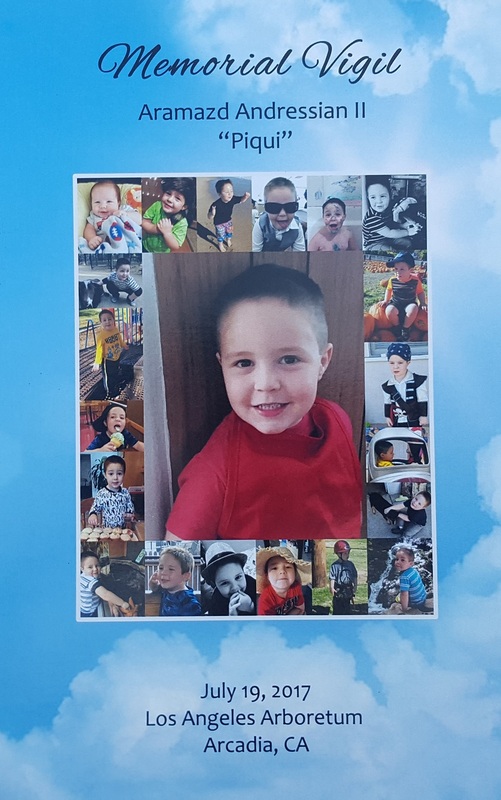 Los Angeles County District Attorney’s officials filed the murder charge on Wednesday, Los Angeles County Superior Court and booking records show. He entered no plea during a court appearance in the Alhambra branch of Los Angeles County Superior Court. An arraignment hearing was postponed until Sept. 20. Resendez was being held without bail. SOUTH EL MONTE >> Detectives are seeking clues after a man was gunned down while driving through a residential neighborhood in South El Monte on Monday night, authorities said. The shooting took place shortly after 10:30 p.m. along Fern Street, just west of Santa Anita Avenue, Los Angeles County sheriff’s Sgt. Curt Messerschmidt said. “Upon their arrival, deputies learned that the victim was driving in front of the location, when an unknown suspect shot into the vehicle,” Deputy Kelvin Moody of the Sheriff’s Information Bureau said in a written statement. The wounded man’s car continued traveling a short distance before crashing into a parked car, the deputy said. Officials said the victim, initially described only as a Latino man, was struck in the torso by at least one bullet. At least three bullet casings were found at the scene, according to Messerschmidt. No further details regarding the circumstances of the shooting, including a description of the attacker, were available. NORWALK >> A man has begun serving a sentence of more than half a century in prison for gunning down his girlfriend’s brother with a rifle in 2015 at the Norwalk home hey all shared. A Norwalk Superior Court jury convicted Jose Ramos Nunez, 46, of murder in late June, Los Angeles County Superior Court records show. At his sentencing hearing on Thursday, a judge sentenced Nunez to 50 years to life in state prison, records show. 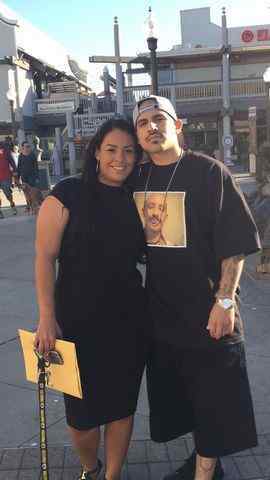 The charge stemmed from the Aug. 1, 2015, slaying of Joe Nava, 44, in the 11400 block of Lindale Street. Deputies first responded to a report of a family disturbance when they found Nava suffering from gunshot wounds, Los Angeles County sheriff’s Sgt. Jack Jordan said at the time. Investigators seized a rifle at the scene and took Nunez into custody for questioning, according to Deputy Juanita Navarro-Suarez. Two days later, Los Angeles County District Attorney’s officials filed a murder charge against Nunez. A motive in the slaying has not been released. A car-to-car shooting on the border between Hacienda Heights and Industry left one man dead and another wounded on Wednesday afternoon, authorities said. The deadly gunfire was first reported about 2:20 p.m. at Clark and Ridley avenues in Hacienda Heights, Los Angeles County sheriff’s officials said. Bullets were fired from one white car into another, and possibly in both directions, Lt. Joe Mendoza of the sheriff’s Homicide Bureau said. The other car continued traveling just over three-quarters of a mile before it collided with another, uninvolved car at Turnbull Canyon Road and Don Julian Road in Industry, according to the lieutenant. The second car sped away and was yet to be found. The identity of the victim, who had been driving the crashed white sedan, was not available pending positive identification and notification of family. He was initially described only as a man. A second man inside the car was also found to be suffering from gunshot wounds, Mendoza said. He was taken to a hospital for treatment. An update on his condition was not available. A third person inside that vehicle fled from the scene and was detained a short distance away from where that vehicle collided,” Mendoza said. Detectives detained the third man for questioning. No description of the shooter or shooters was available. The vehicle being sought in connection with the shooting was described only as a white sedan. It was not clear Wednesday whether the shooting was an attack or a two-way gun battle, Mendoza said. Investigators said they could not confirm initial reports from the scene that casings from at least two different bullet calibers were found. Deputies continued scouring the multiple crime scenes into Wednesday evening, bringing in a search dog to look for any discarded weapons. 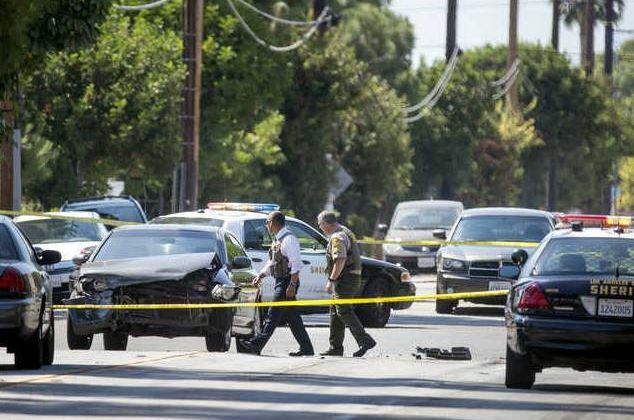 Investigators determined the shooting was preceded by a “disturbance” reported just before the shooting on a residential cul-de-sac in the 15500 block of Ladysmith Street in Hacienda Heights, Mendoza said. Further details regarding the circumstances of the incident believed to have led to the shooting were not available. Mendoza said the shooting was believed to be gang-related. It was not yet clear if the incident was an attack or a two-way gun battle. A man and three young children who were riding in the car struck by the wounded driver were treated at the scene for minor injuries, Mendoza said.